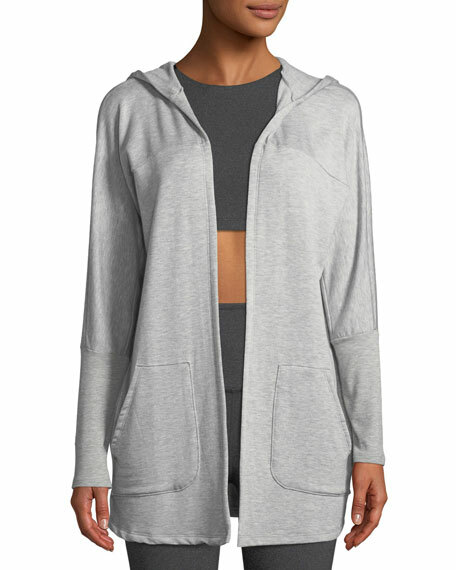 Beyond Yoga "Love and Fleece" cardigan. Launched in 2006 by Jodi Guber Brufsky and Michelle Wahler, Beyond Yoga is a yoga-inspired collection of workout and lifestyle clothes for a real woman's body. Beyond Yoga means comfort, support, and style with the belief that confidence is not a size, but a state of mind. Each piece is designed with the thought in mind to encourage women to embrace who they are in this moment instead of looking to be something or someone they are not already. 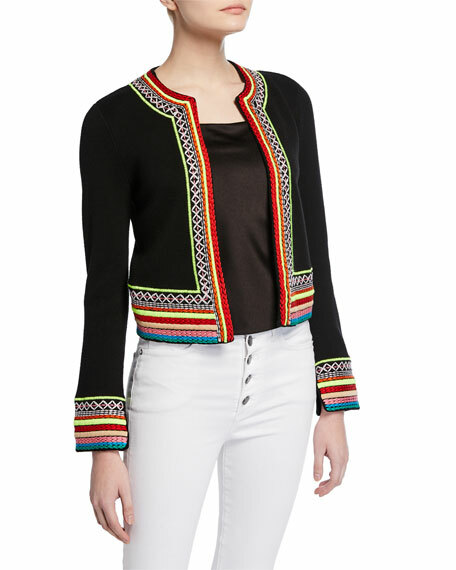 Alice + Olivia "Meemee" knit cardigan with colorfully embroidered trim. Open front. Long sleeves. Fitted silhouette. Cropped length. Straight hem. Cotton, shell. Polyester, embroidery. Imported. 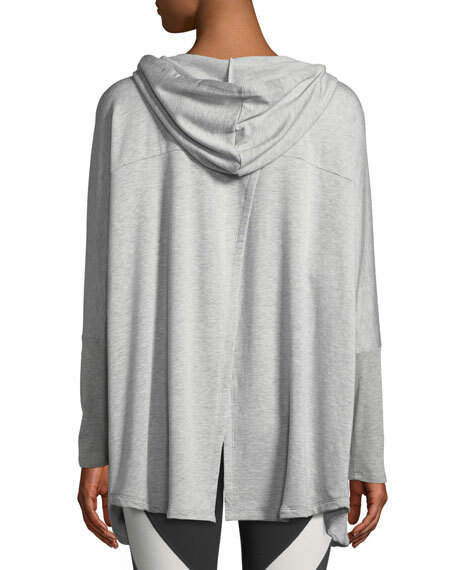 ATM Anthony Thomas Melillo cashmere cardigan with exposed seam details. Open front. Long sleeves. Two patch pockets. Relaxed fit. Side slit hem. Mid-length. Dry clean only. Imported. 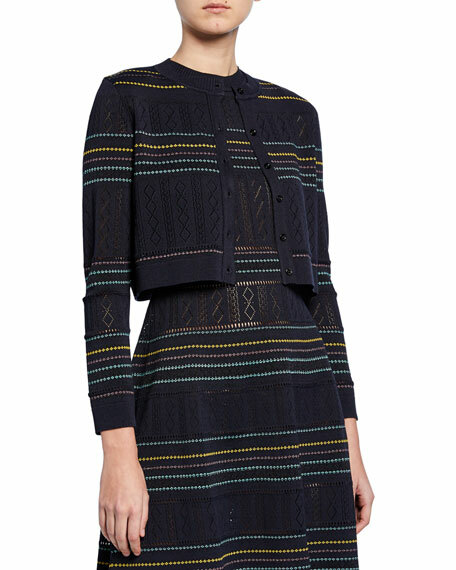 Carolina Herrera cardigan in striped knit with diamond pointelle. Crew neckline; button front. Long sleeves. Cropped, fitted silhouette. Hem hits above hips. Viscose/cotton/polyester/cashmere. Made in Italy.